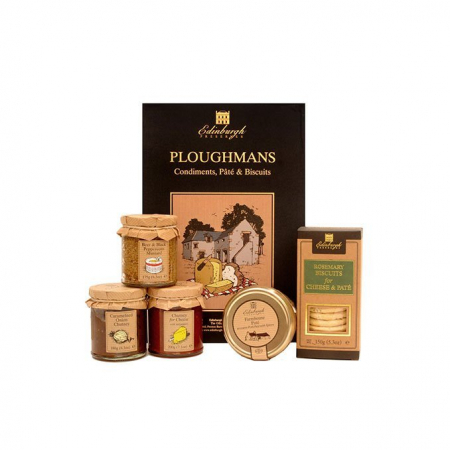 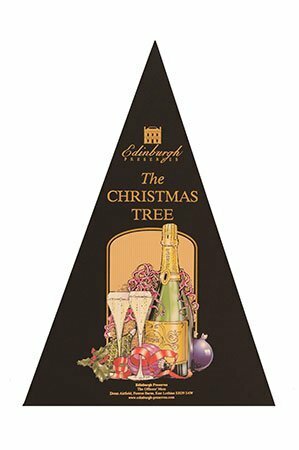 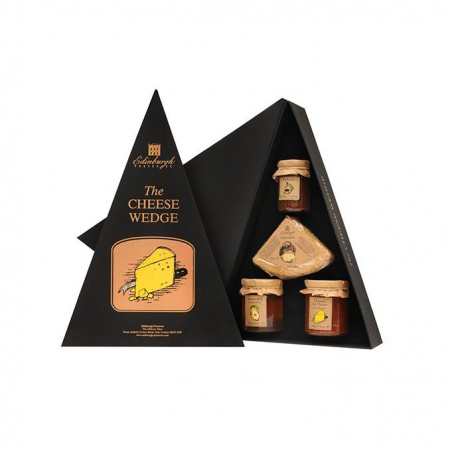 Just like under the Christmas Tree, this gift features a delightful selection of sumptuous goodies. 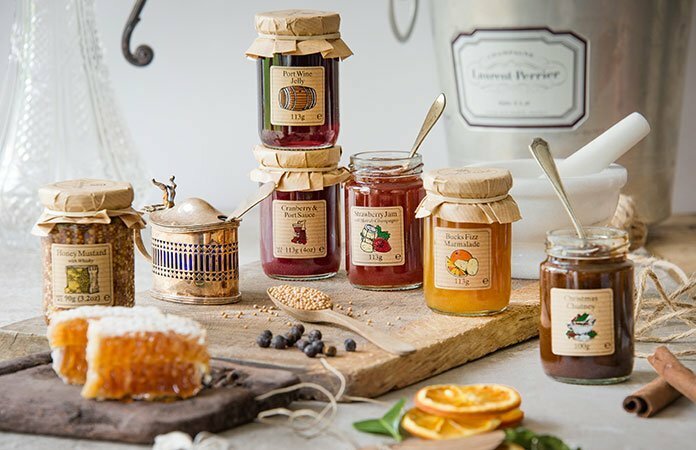 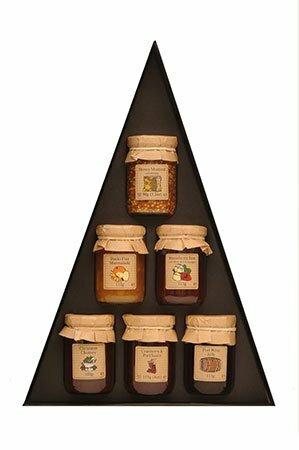 Every condiment for the festive period, Strawberry Jam with Marc de Champagne and Bucks Fizz Marmalade, both equally delicious smothered on hot buttered toast. 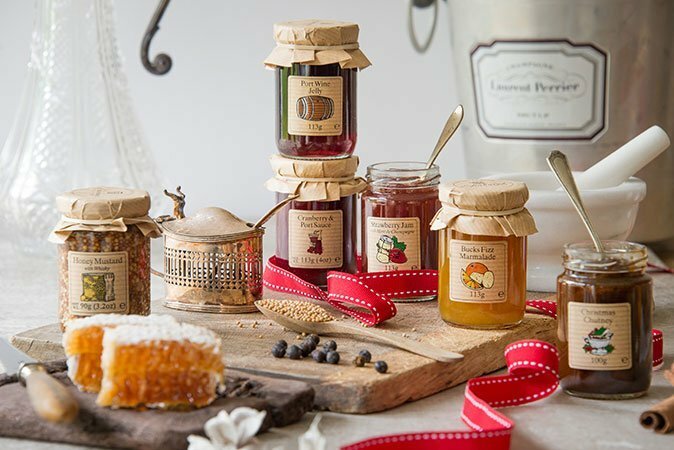 Turkey wouldn’t be the same without our punchy Cranberry and Port Sauce and Port Wine Jelly. 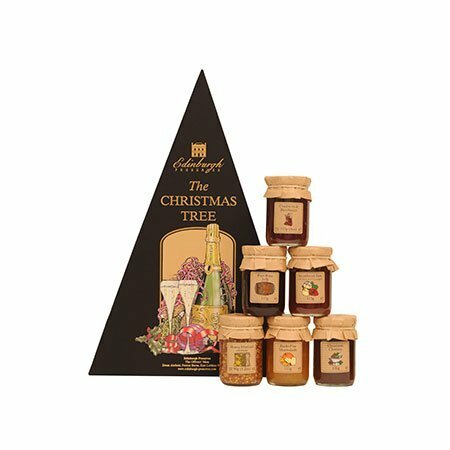 And to finish off a spoonful of our sweet Brandy Butter melted over your Christmas pudding and if you still have room a dollop of our fruity Christmas Chutney with your cheese. 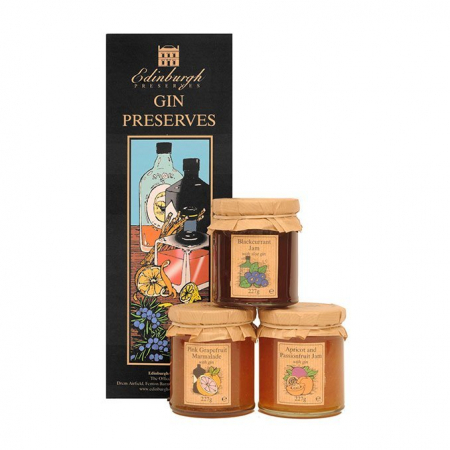 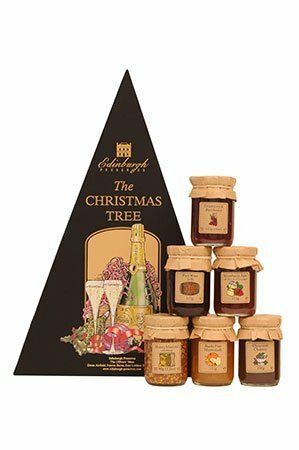 Contains Honey Mustard with Whisky 85g, Bucks Fizz Marmalade 113g, Strawberry Jam with Marc de Champagne 113g, Christmas Chutney 100g, Cranberry & Port Sauce 113g and Port Wine Jelly 113g.